As the days get longer and the temperature start to rise I am always looking for ways to stay motivated. While I often make time for my runs I like to keep things interesting and change things up in order to not get bored or lose motivation. As you know I am co-leader of the Delmarva Moms Run This Town chapter. We have done lots of challenges over the past few months – mostly recently our Mother’s Day Virtual marathon through the month of May. We challenged our mother runners to log 26.2 during the month of May. 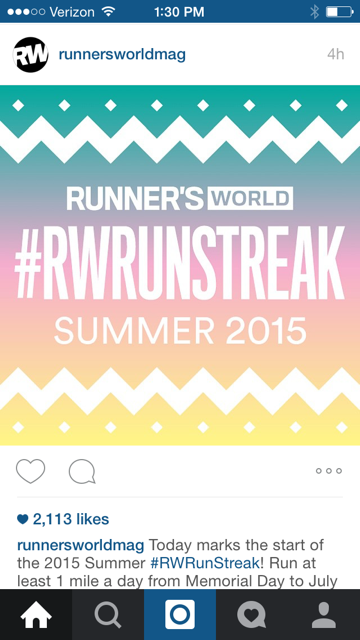 As that challenge is coming to an end I saw the announcement for the Runners World Run Streak! I have seen the hashtags for this in the past but I somehow always seem to miss it. When I saw the most recent insta post dealing with it I jumped and knew this is exactly what the doctor ordered! I lately have been logging miles but they have been less than desirable. I want to focus more on speed and a mile a day will fit the bill perfectly! So I am sure most of you know about this 41 day challenge, but if not here is the low down- Log at least 1 mile day for 41 days- ranging from Memorial Day to 4th of July! 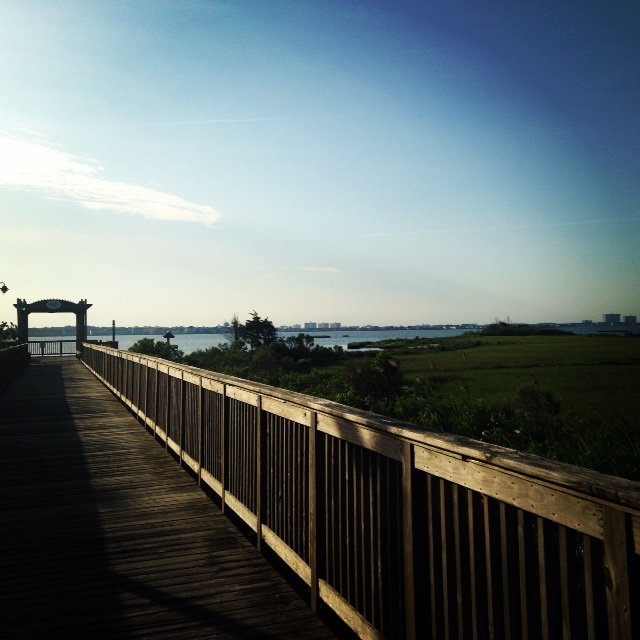 I was able to successfully run yesterday (Monday) with two other ladies and enjoyed some beautiful morning sights. With the streak as my goal for the next 40 days I will be sure to make time each day for my mile(s). I follow others on social media that have streak for 500+ days or there is the ever amazing Jon Sutherland that has been streaking for over 45 YEARS! YES YEARS! I am worrying about 41 days and he has been doing this for YEARS!!!!! While that seems crazy I completely understand how running each day is his lifestyle- it is probably just who he is at this point in his life. I must say even though some days I dread running I never regret it and I am hoping that stays true through the #RWRunStreak! Haha I posted about this today as well! I think it’s an extremely interesting concept and definitely a great motivator. However I feel like I would be suckered into skipping rest days by doing this. Currently I’m “streaking” haha but I’m not sure how long that will last. Hope you have a great Thursday! Oh! I like your walking idea!! Maybe I can do that!!! I think that will help me move in an active way, while giving my body the break it needs from running!! I have never participate in a run streak because it’s totally unrealistic for me. I’m awaiting the arrival of a new treadmill (yey), so after that gets set up, maybe I could accomplish one! My kids are just too unpredicatable and so is my hubby’s work schedule! Having a treadmill definitely makes things easier! I also have a 1.5 mile loop neighborhood that makes for an easy need to get it done route! I’m loving this idea. I’m currently nursing an pesky IT band and my running has been slowed. But I could do a mile a day! Great challenge.